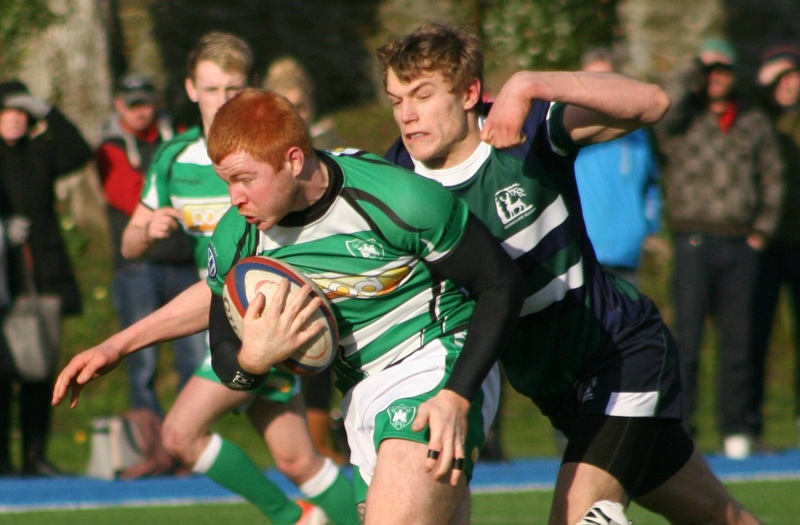 DEVON’S hopes of progressing to the knock-out stages of the National Under-20 Championship were ended with a 19-13 defeat against Berkshire at Keyham on Sunday. The Green and Whites, who had lost 30-15 to Gloucestershire in their opening pool game, came so close to snatching victory at the death against Berkshire. They camped in the visitors’ 22 but just could not find the final pass to score a possible match winning try. In the end, they were left to rue a disappointing first half, where they gave away far too many penalties. With both Berkshire and Gloucestershire winning their opening two matches, Devon and Cornwall will now just have pride to play for when they meet at Camborne on March 13. 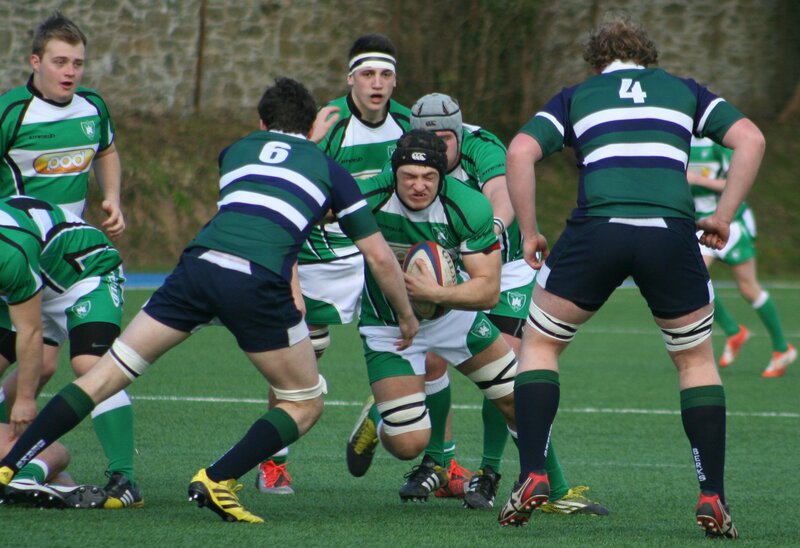 Devon included Ivybridge’s Damon Akerman, Billy Pinkus, Sean Harrison and Joe Walker in their starting line-up against Berkshire, as well as Plymouth Albion’s Jim Massey, Devonport Services’ Luke Stannard and city students Will Mason and Matt Hanford. Devonport Services’ Joe Daley and Tyler Busfield where on the bench, as was Saltash’s Dom Mulberry. Berkshire started the game strongly but Devon defended well and took the lead against the run of play when Plymouth-based Brixham player Dean Squire scored an impressive try following an attack from a scrum. Pinkus converted to put Devon 7-0 up. Berkshire, though, levelled straight away with Conor Corrigan going over in the right corner. Jordan Souter, one of seven Reading University students in the visitors’ side, converted the try. Centre Souter then went on to punish Devon for indiscipline, putting over three penalties to give his side a 16-7 half-time lead. Berkshire had a try disallowed straight after the break, but after that Devon came to life. Pinkus cut the gap to six points with a penalty on 46 minutes, but Souter responded with one of his own. Pinkus missed a penalty before Devon wasted three good chances to score a try. The home team, with replacement Busfield and captain Jack Rouse becoming more and more influential, did get within one score on 66 minutes when Ivybridge man Pinkus, who had played for his club the day before, put over a penalty. Berkshire missed one on 72 minutes before Devon lay seize to their try line. 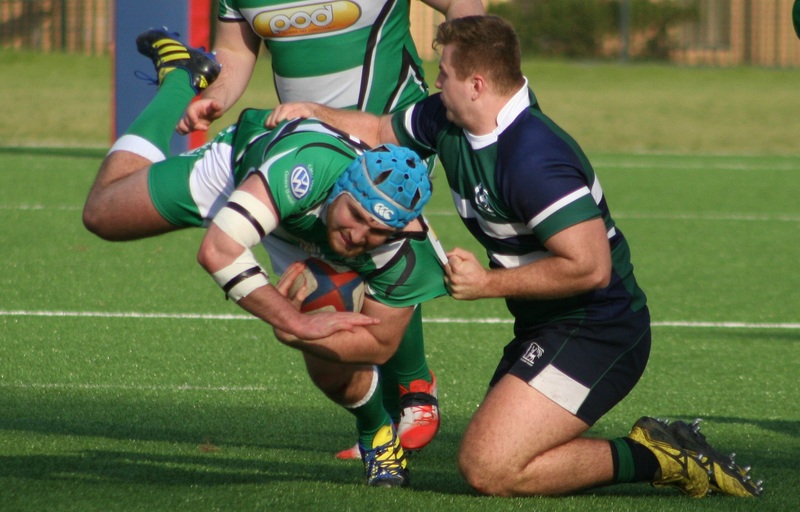 The visitors were reduced to 14 men in the dying seconds trying to keep Devon out, but they managed to do it, with the Green and Whites’ handling frustratingly letting them down at the crucial moment. Devon: Damon Akerman (Ivybridge), Harvey Ridgeway (Exmouth), Jack Bond (Newton Abbot), Billy Pinkus (Ivybridge), Luke Stannard (Devonport Services), Dean Squire (Brixham), Harry Rumens (Sidmouth), Hayden Down (Sidmouth), Sean Harrison (Ivybridge), Will Mason (Plymouth University), Jim Massey (Albion), Matt Hanford (Marjons), Jonathan Merrin (Kingsbridge), Joe Walker (Ivybridge), Jack Rouse (capt, Exmouth/Exeter Uni). Reps: Joe Daley, Tyler Busfield (both Devonport Services), Richard Hull (Sidmouth), Jordan Watson, Jake Perkins (both Brixham), Tom Bottoms (Newton Abbot), Dom Mulberry (Saltash).